Defence Turkey: Mr. Mariani, first of all we congratulate you on your new position. Could you please share your new vision, strategies and plans for Leonardo’s commercial activities following your assignment? Thank you, it is a challenging role and I like this kind of challenge. The new commercial organization – made official with my appointment as Chief Commercial Officer in October 2017 – should be considered within a wider framework, specifically Leonardo’s 2018-2022 Industrial Plan, presented at the end of January 2018. The Plan – strongly backed by CEO Alessandro Profumo – aims to set the basis for the company’s long-term sustainable growth and, of course, commercial strategy is one of the crucial factors in achieving this. “Leonardo 2.0” has a new operating model focused on optimization, starting with a central organizational structure which can coordinate businesses activity and share/generate best practices, as well as to create a stronger identity and a more integrated resource management. The Industrial Plan has a challenging but realistic order intake goal of €70 billion over five years, and we expect that more than 60% of it will come from international markets – those excluding Italy, the UK, the US and Poland, which we consider “domestic markets”. One of the first activities carried out by the new CCO team was a deep screening and review of all almost 250 marketing campaigns involving Leonardo. We defined the “key campaigns” and we centralized coordination of what we call “strategic campaigns”, around 70 internationally, for a total value of €20 billion (excluding US campaigns). An in-depth assessment of our business and technology was also carried out with the objective to determine our current competitive positioning and identify the key enablers for long-term sustainability and the on-going competitiveness of our business lines. Today, Leonardo’s commercial proposal is based on a strong and innovative product portfolio, characterized by clear leadership in some business segments. But we know we must concentrate our efforts on building up an even more solid offer, based on three core businesses: Aeronautics, Helicopters and Defense Electronics. A more effective commercial strategy has to go together with a more effective approach to our customers, including boosting our international business development activities, cross-business customer support and effective governance of technological innovation. To do this, we also need to be “physically” closer to our customers and industrial partners. That’s the reason why we have decided to more than double our network of international branches, joint ventures and subsidiary companies. We plan to open at least 20 new offices around the world, mainly in the Middle East, Africa and Asia, ten of them to be inaugurated between 2018 and 2019. Of course, we also continue to strengthen our existing international offices, including the one we opened in 2010 in Ankara, and not forgetting our Turkish subsidiary, Selex ES Elektronik Turkey AS. Defence Turkey: How do you assess Leonardo activities in 2017 in terms of export, programs, investment, production, R&D etc.? In the last year, Leonardo has seen strong growth in terms of image, effectiveness and industrial efficiency. The Company is solid, and we can call 2017 a consolidation year, almost in line with expectations although a bit tougher than originally expected. At the same time, we achieved some important goals. We saw good commercial performance in the Electronics domain, thanks in part to the deal to supply sensors, naval systems, combat systems and related logistics support for seven Qatari Navy units and a contract with the UK Ministry of Defense that will involve upgrading identification-fried-or-foe (IFF) systems on more than 350 British air, land and naval platforms to the new Mode 5 standard. We also achieved very good results in our Aeronautic programs: we launched the Fighter Attack version of our M-346 aircraft, we delivered six M-346 trainer aircraft to the Italian Air Force, and we completed the supply of eight M-346s to the Polish Air Force, which just ordered four more with options for an additional four. We also received an order from the Italian Air Force for the first batch of five new M-345 trainer aircraft. Together with the M-346, these two aircraft types will form the world’s most advanced training system for military pilots. Our AW139 helicopter continues to be the best seller in its category. The 500th Eurofighter Typhoon was delivered to the Italian Air Force and upgrade work on the C-27J multi-mission aircraft continued, including avionics upgrades and new winglets. We also had good results in our Space activities, and we can confirm the Turkish earth-observation satellite “Göktürk-1” has entered its “pre-operation” phase and is currently used by the Turkish Air Force; the transfer of ownership of the satellite Assembly Integration and Test Center realized at TAI for the customer was also formalized. System qualification is expected during the first half of 2018. Our investment in R&D increased to 13.4% of revenue, compared to 11.4% in 2016, with activities divided into two main areas: an investment plan looking at strategic and innovative technology and skills, with a medium-to-long-term time horizon, and product development, both the continuous improvement of existing products and for new designs. Examples from 2017 include our starting of the development of a new helicopter, the AW249, for the Italian Army and a successful trials campaign for our SW-4 Solo Rotary Unmanned Air Vehicle (RUAV), flying without a Safety Pilot on-board. In the aforementioned C-27J program, a new baseline configuration is in development, which will include the installation of winglets. We also started the development of a new product to protect troops from Radio-Controlled Improvised Explosive Devices (RC-IEDs) and we developed a prototype of a new 76mm above-deck cannon, conducting preliminary tests and shooting range trials. Looking at this year, just a few weeks ago we signed a deal with Qatar for the supply of 28 NH90 helicopters, worth more than 3 billion for the consortium. If ‘well begun is half done’, we expect further business opportunities to be finalized and we predict 2018 will see us growing, with more orders, revenue and profits. Defence Turkey: Could you please inform us about your strategies and future plans for the Turkish Market? Turkey is a key market for Leonardo, not only because of its increased spending on defense projects, but mainly because we are long-term partners and have achieved good business results together. Leonardo’s technologies provide security for the people of Turkey on a daily basis, for example via the new air traffic management and control system which links over 20 air traffic control towers with Ankara’s main operations center. Or Leonardo’s Vessel Traffic Management System (VTMS), which ensures the safety of Turkey’s coast line and seaports, providing an integrated and comprehensive view of maritime traffic in its territorial waters. The pillars underpinning Leonardo’s strategy in Turkey are our commercial and industrial presence and our strong and growing technological partnerships with Turkish companies. Leonardo has been present in Turkey for a long time with a fully-owned Turkish company, Selex ES Elektronik Turkey AS, producing communications equipment for the Turkish Navy and Army. We also have a representative office in Ankara, which today is even more customer-oriented than ever before thanks to a number of colleagues, those in charge of lines of business, who have settled here. Leonardo wants to be involved in the major Turkish programs related to security and aerospace, both in the civil and defense domains. We have the field-proven technologies that Turkey needs, and we are ready to share our experience. 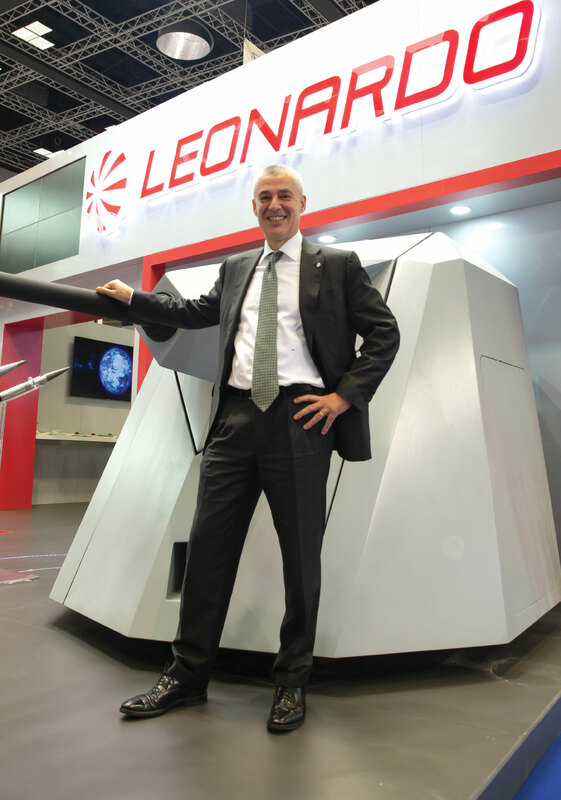 Of course, one of Leonardo’s priorities is to further improve the existing strategic cooperation arrangement we have with Turkey’s defense industry, including those with Small and Medium Enterprises (SMEs), investing together with Turkish companies both for returns in the domestic market and to jointly challenge new export markets. Defence Turkey: Turkey and Italy accomplished a success partnership within T129 “Atak” program and in addition Italy fulfilled the commitment of technology transfer in this program. Thanks to this heritage, do you plan to keep the same approach for the up-coming potential joint programs? The T129 “Atak” program is one of the most successful results of the industrial partnership between Leonardo and Turkish industry, delivering unprecedented operational capabilities and industrial benefits to Turkey. Leonardo has demonstrated that we are a reliable partner and are therefore ready to build on this longstanding collaboration to seize new opportunities in the future relating to a wide range of potential programs, in the helicopter sector as well as in other fields. Defence Turkey: As it is known, Leonardo has great capabilities in radar technology. How do you assess your cooperation with Turkey on radar issues? Could G2G level cooperation be considered in the coming period? 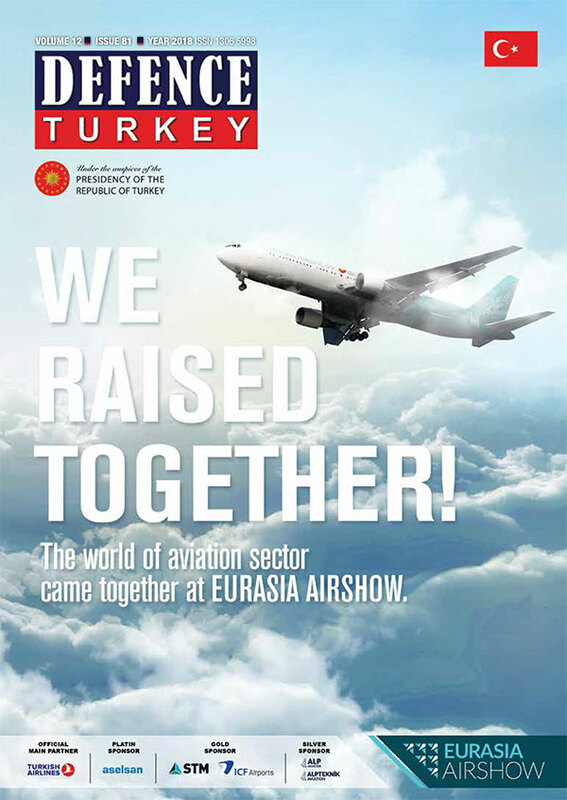 Turkey has indeed grown significantly in its high technology capabilities for many years now. It is a matter of fact that the Turkish defense industry has been well supported by local Government in terms of R&D funding, which has led to very good results in terms of design and development of products, systems and solutions that can effectively compete in the market. The increasing demand in the marketplace for very sophisticated and high-performance equipment in the field of radar systems has led the Turkish Industry to seek reliable partners with state-of-the-art technology. Leonardo is currently discussing possible cooperation in this field with Aselsan, aiming to meet current and future Turkish Armed Forces requirements, as well as targeting export markets. The support of Turkish, Italian and UK Governments will definitely contribute towards the efforts that Leonardo and Aselsan are devoting to building a fruitful and long-lasting high-tech partnership. Defence Turkey: Leonardo is involved in Liaison and General Utility Aircraft tenders in Turkey with the Spartan C-27J aircraft. Could you please elaborate on the outstanding features and share your approach on this project? Turkey is looking for new assets that will satisfy their tactical transport requirements and, at the same time, those that can be used for multi-mission operations. We believe our C-27J is the most effective multi-mission airlifter available on the market today, and we think Turkey deserves the best military platform for the challenging scenarios in which the country operates. We see Turkey as a partner, not just as a customer, and with the C-27J Leonardo is ready and willing to establish long-term partnerships with Turkish industry, both in engineering and commercial aspects. The C-27J Spartan has an outstanding cabin size, allowing large vehicles such as ambulances or small helicopters to be transported, as well as large NATO pallets or up to 60 fully equipped soldiers or paratroopers. It can interoperate with heavier airlifters like the C-130 and the A400M. The cabin can be easily re-configured and in just few hours, you could for example switch between a VIP aircraft and a cargo transport, or vice versa. This ability makes this aircraft the most versatile in its category. The Spartan has unrivalled maneuverability, climbing and descending performance and is qualified for short take-offs and landings on unprepared airfields or in snowy and sandy weather conditions. It is worth mentioning again that we have developed a new configuration for the C-27J, which will be tested and qualified in 2018 and will be available in 2019. New C-27J customers will enjoy more modern avionics, reduced operational costs and improved aircraft performance, while the aircraft’s fly-away price will be maintained. The C-27J has a long track record of performing missions with prestigious Air Forces in a range of scenarios including tactical transport operations, disaster relief and search and rescue. It has been chosen by the US Coast Guard and the US Army, as well as several other customers including the Air Forces of Italy, Australia, and Peru. Defence Turkey: TF-X is one of the significant programs on Turkey’s agenda. As we are aware, Leonardo is eager to be involved in this program with the wide range of critical systems. Could you please discuss the details about your activities in this regard? First, it’s important to note that the TF-X will be an advanced ‘5th generation’ stealth platform which will be performing an air superiority role on tomorrow’s battlefields. As all fast-jet crews recognize, sensors and avionics will be critical to success in these information-driven air combat scenarios. This is where Leonardo comes in. We have 60 years of experience and expertise in supplying avionics for the most advanced combat aircraft to customers such as the Italian Air Force and the UK’s Royal Air Force. We are very interested in putting this heritage to work, supporting Turkish industry to deliver TF-X. One good example of a major fighter program where Leonardo is playing a leading role, the radar, electronic warfare defensive suite and InfraRed Search and Track (IRST) for all Eurofighter Typhoons are delivered by our Company, including for the Air Force of Kuwait, who will receive the highly-advanced new Leonardo-led E-scan radar. We could translate this experience into assisting Turkish Industry with the TF-X ‘integrated RF’ and ‘integrated EO’ packages. In fact, partnership is particularly important for Leonardo in Turkey, on TF-X and elsewhere. We do not want to just sell a product, but rather work alongside Turkey’s quickly-developing defense electronics Industry to reduce the schedule and cost risks associated with developing advanced technologies such as IRST and E-scan radar. Defence Turkey: As it is well known that former OTO Melara made solid achievements in naval projects in Turkey. Could you please inform us about activities performed over the years in Turkey? What is your approach to new naval projects like MILGEM 5-8, TF-2000 (Anti-Air Warfare Frigate) and the Turkish Type Fast Patrol Boat? The Turkish Navy is a key customer for Leonardo. Over the years, around 60 naval defense systems, including 76/62 Compact, 40L70 Twin Compact, and 30mm MFCS, have been provided for different classes of vessels. For the MILGEM program follow-on, Leonardo is supporting the 76/62 Super Rapid naval gun configured to operate Strales guided ammunition, while for TS-2000 Leonardo is proposing the 127/64 naval gun, configured to operate Vulcano GPS guided ammunition. We are also promoting our KRONOS radar systems, a multi-functional radar family which is highly flexible and utterly reliable. The main role of the KRONOS radar system is to monitor surrounding airspace to detect, track and identify targets and to provide the weapon system with target indication, including TBM (Tactical Ballistic Missile) defense capabilities. Defence Turkey: Turkey has strengthened its position in different markets like Qatar, Pakistan, Saudi Arabia. Naval vessels like MILGEM export sales are on the agenda recently in these markets. What is your opinion about the cooperation for 3rd markets? The markets you are referencing are ones in which Leonardo has been operating successfully for many years, in the naval sector as well as other domains. In these same markets, Turkey has many interests and its industry is developing important projects. In this scenario, we are willing to develop commercial partnerships. In the naval segment we have already proposed our combat system to some Turkish shipyards, as well as offering some of our subsystems to complete the Turkish proposal. The benefits for the end users are obvious. At the same time, we hope that a similar business model could see success in other countries, for instance in Central Asia and Africa, and the MILGEM program is just one example of the great potential for Leonardo and Turkey engaging on common projects. Defence Turkey. Turkey has significant land vehicles programs on its agenda. Could you please discuss your activities regarding the company’s land weapon systems approach in the Turkish market? In the land domain, Leonardo is teaming with Turkish Industry to pursue opportunities in the international market. In the last few months, we have met all major manufacturers of land vehicles in Turkey – including BMC, Otokar, Nurol, FNSS and Katmerciler – to present our Remote Weapon Station solutions, our land turrets and our EO and Radar sensors. Our greatest interest is to set up collaborations for projects in third countries, without of course neglecting cooperation on programs related to the Turkish market. Defence Turkey: Selex ES Turkey, a subsidiary of Leonardo, has been conducting activities in Turkey for many years, however not always with excellent results. Do you have any plan for Selex ES Turkey in the new Leonardo international organization? The relatively strong and improved results of Selex ES Elektronik Turkey AS, which reflect investment and a significant turnaround effort in the last few years, have resulted in a growing number of high technology products that are now manufactured, supported and sold directly by Selex ES Elektronik Turkey AS to the Turkish market and to other export markets. Evolving from its heritage in manufacturing communications equipment, Selex ES Elektronik Turkey AS, under strong Turkish management, now provides services for many of Leonardo’s electronic systems installed throughout the country. It is also active in defense, civil avionics and naval message handling systems, which includes the development of indigenous Turkish products. Leonardo’s new business organization activities will of course affect Selex ES Elektronik Turkey AS and the company will be involved in all the new local programs, under new central coordination. As such, the company will be rebranded to become Leonardo Turkey, extending its capabilities to support all areas of Leonardo’s portfolio. Defence Turkey: What is your assessment of Leonardo’s partnership with various Turkish companies performed over the years?Could you please elaborate on some details regarding accomplishments resulting from your commitment to off-set obligations in Turkey? Leonardo has been partnering with Turkish industry for many years now and we value the collaborations we have built over that time. This has created mutually beneficial relationships involving SME’s and major Turkish suppliers across a range of capabilities from aero-structures and mechanical manufacturing to training, engineering services and investment, supporting many Leonardo activities. A significant example is our collaboration with TAI which led to it becoming the only company outside of Leonardo capable of manufacturing fuselages for our AW139 helicopter. TAI has now has delivered more than 300 units to-date. The potential and desire is there to continue to extend these relationships where there is good business reason to do so. Leonardo takes its offset obligations very seriously and actively seeks to find innovative solutions that comply with requirements but also those that deliver the mutual, sustainable economic benefits both parties expect. Through this approach, Leonardo has already delivered more than fifty percent of its offset obligations and has mature plans to discharge most of the outstanding obligations over the next four years. Defence Turkey: Lastly, are there any remarks that you would like to share with the readers of Defence Turkey Magazine?